North Coast Moving & Storage is more than just a local moving company. This service is available for residential and commercial moves in the area, across the country and internationally too. Whatever the nature of your move may be, you can count on this company to put your satisfaction above everything else. They want to make sure that the move goes as smoothly as possible, which they are able to do by guaranteeing the safety of your items throughout the process and keeping their prices relatively cheap. Nice Guy Movers offers both local and nationwide moving services that make moving from one home or business to another simple and easy. This company will first work with you to assess any special items or packing practices you would prefer before the experts get to work. They treat your belongings as if they were their own while they pack and load everything into a moving truck. As movers and packers, they will make sure that everything in the truck is secure and will not move around during the transportation. 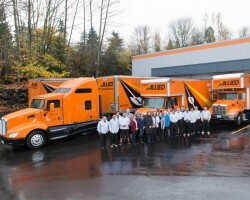 MVP is a company of some of the most experienced Seattle movers in the business. They have taken care of some of the most delicate and expensive items as well as some of the heaviest. 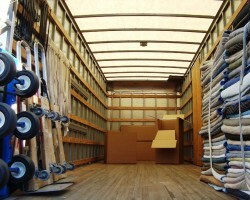 Using the safest moving techniques, this team is able to get all of your belongings into a truck and into a new home in no time. Whether you are moving items from an apartment into a new home or would like office equipment kept in storage, this team is there to assist you in all of your moving needs. Danny The Mover is one of the moving companies in Seattle, WA that takes the stress out of the moving process. This fully licensed and insured company is able to do this by staying organized and keeping you informed of their progress throughout the move. You will also have total peace of mind knowing that these house movers have experience with the everyday items as well as larger belongings and furniture such as a piano. You will love the efficiency and the professionalism of this service. 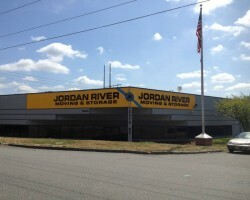 Jordan River Moving & Storage is a Washington-based moving company that offers their professional services for both local and long-distance moves. One of the best things about working with this company is that each of the technicians is completely organized in the way that they will care for your things. You will never have to worry about an item getting lost or damaged when you work with this company. Add to this the affordable prices for the work and you can easily understand why the company has received so many positive reviews.